As the evenings draw longer, and the days shorter, it can only mean one thing, the festive season is nearly upon us, and that Black Friday 2018 has again paid a visit to our digital domains for yet another successive year. 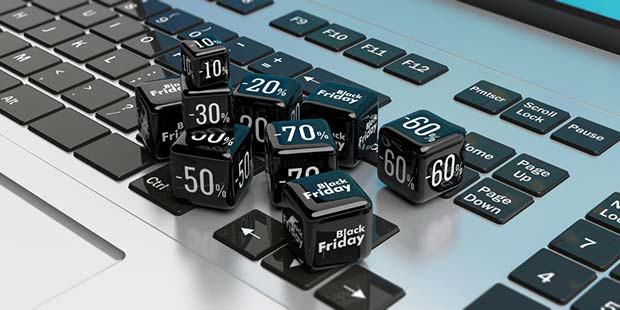 With online consumerism incrementally claiming the highstreet commerce landscape, Black Friday has morphed from being solely a high-street melee to quickly become a widely recognised ecommerce event within the UK’s shifting retail eco-system. That does not mean that black Friday is an event now exclusive to the realms of online retail, many shops, whether it be online, or on the high-street in the UK, yet again succumbed to offering ‘sales’ to consumers on 23rd November 2018; whilst the usual massive discounters made themselves known, amongst a variety of retailers offering the best deals, evidently feeling brave enough to try and compete with the Black Friday Giant that is Amazon. Having radically changed the way people shop in the run-up to Christmas; and following on from 2017, and the success of the retail rigmarole that keeps keen consumers bidding for a bargain; predictions were rife surrounding whether holiday hype or havoc would be unleashed in-store on Black Friday 2018. Now recognised as an established retail event within its own right, whilst also leading up to, and associated with Cyber Monday – just what exactly are some of the effects of this ecommerce economy on the supply chain, especially for such popular retail events as Black Friday? This Black Friday, as shoppers purchased via multiple channels – logisticians worldwide would have been required to stock-up, secure distribution network capacity, and carefully prepare their warehouses for the predetermined retail-rush. Encompassing every stage of the retail cycle, from purchase and transaction through to collection, delivery, and returns; prior to big retail events like Black Friday, it is vital for retailers to liaise with manufacturers and suppliers, to ensure they have not only the correct stock, but also the optimum quantity. The convenience of shopping online opens a window of opportunity for retailers and consumers alike, with many incentives offered for shoppers including the redemption of unique ‘one off’ promotions and limitedtime offers on Christmas gifts; with clothing and electronics usually the most popular purchases. A strong contender within the ecommerce field, and adept to successfully serving consumers’ needs – Amazon, of course is a prestigious player within this competition for consumerism, with it not being their first, or even their second Black Friday, – Amazon continues, year on year, to increase its Black Friday sales. It is thought that with the popularity of omni-channel retail, half as many consumers which opt to shop online, do also chose to occasionally click and collect instore. It seems that now so spoilt for choice, the modern consumer has as predicted, become accustomed to receiving what they want, when they want it, and this couldn’t prove to be any truer for Black Friday. No matter whether the customer is shopping online from a desktop or mobile device, by telephone or in a physical store on the high-street – consumers expect variable fulfilment options; in-turn ultimately dictating the solution that retailers chose to implement to manage and maintain the seasonal fluctuations in their order fulfilment and distribution. Comprising a multitude of functionalities, ranging from standard ecommerce operations, to online ordering for click and collect, consumer-centric Omnichannel delivery, is perfect for saving time and money, not only across distribution expenses, but also facility overhead costs. Providing a multi-tiered delivery platform for packages near and afar – relative to the consumer, it enables parcels to be readily delivered via local logistics, instead of being sourced from larger distribution centers, many miles or even countries away. Existing to ultimately serve the consumer, omnichannel remains a big task for logistics providers and final mile couriers to literally deliver; but repeatedly proves to be one of the most resourceful, efficient, and economically viable retail tools, to balance resource requirements across their logistics networks. Furthermore, being wholly dependent on a strong and cohesive supply chain, omni-channel logistics leaves itself open to potential weaklinks, which can predicate bottlenecks, disappointed customers, and potentially damage brand image and loyalty, if not resolved, or better still prevented. One smarter solution for example could be click-and-collect options, as a measure to reduce the uncertainty out of the supply-chain. There is a lot of work that goes into making sure everything runs smoothly, and events like Black Friday function best when customer-centric retailers ensure that they can not only cope with the increase in physical footfall and digital demand, but to also obtain the full support of their supply chain and logistics operations, via both in-house and/or third-party capacity.